Posted June 10, 2016 by Guest Writer & filed under Lists. With the next season of Doctor Who being Steven Moffat’s final run as lead writer, it’s sure to be an extravaganza to remember. One of the most obvious ways to ensure Moffat’s era goes out with a bang is to have the Doctor face some of his most impressive foes. This doesn’t necessarily mean the return of stalwart villains like the Daleks, the Master or the Cybermen (although we’d be surprised if Michelle Gomez’s Missy didn’t make a reappearance). On the contrary, it would make more of an impact if we meet encounter some villains that we haven’t seen for a while. Doctor Who has a huge back catalogue of monsters, and since Moffat has often delved into the past for the episodes of the present, it would be fitting for him to end his reign by following the same tradition. 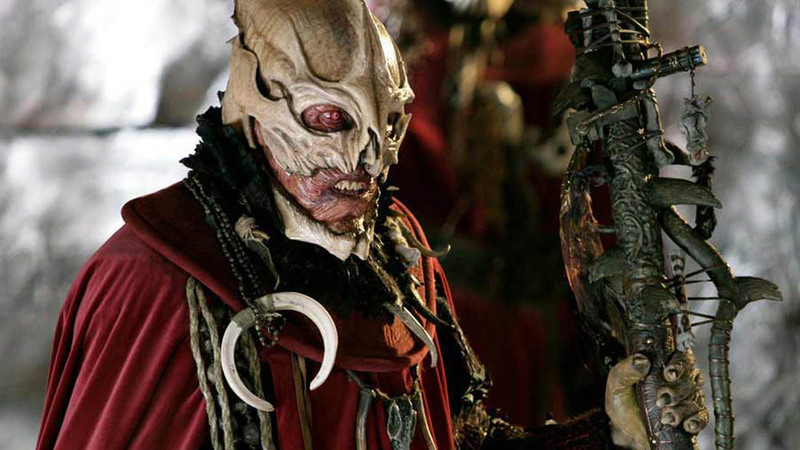 The Sycorax first appeared in 2005’s Christmas special, ‘The Christmas Invasion’, and their most recent appearance was in Season 5’s finale, ‘The Pandorica Opens’. However, in that appearance they did not do much more than stand in the background as the Doctor was locked inside the Pandorica. This felt like a wasted opportunity to learn more about an alien culture that had such a fascinating presence in their debut story. If any of the show’s aliens deserve a more fleshed-out backstory, it’s the Sycorax. Introduced a decade ago in 2007’s ‘Blink’, Moffat’s Lonely Assassins are arguably one of the most memorable monsters the Doctor has ever faced and will celebrate their tenth anniversary in 2017’s Season 10. The simple yet creative premise behind them has made them one of most terrifying monsters in Doctor Who, and the Twelfth Doctor, a terrifying presence in his own right, has yet to face them. For his final season, having Moffat bring back one of his best creations to confront Capaldi’s inimitable Doctor would be a real delight. Another of Moffat’s chilling creations, the Vashta Nerada were the microscopic organisms that dwelled in the shadows and haunted the Library in 2008’s second two-parter, ‘Silence in the Library’/‘Forest of the Dead’. Like the Sycorax, the Vashta Nerada had a wealth of potential that is just waiting to be explored in future episodes. Moffat should definitely consider bringing back these deadly swarms for his last season. Long before Missy was prancing around with her umbrella like a psycho Mary Poppins, the Rani was stealing chemicals from people’s brains, kidnapping famous geniuses from all over time and space, and genetically engineering giant mice. After her two previous television appearances (or three if you dare to count 1993’s ‘Dimensions in Time’), the Rani has gone on to feature in numerous Big Finish audio adventures such as ‘Planet of the Rani’ and ‘The Rani Elite’. 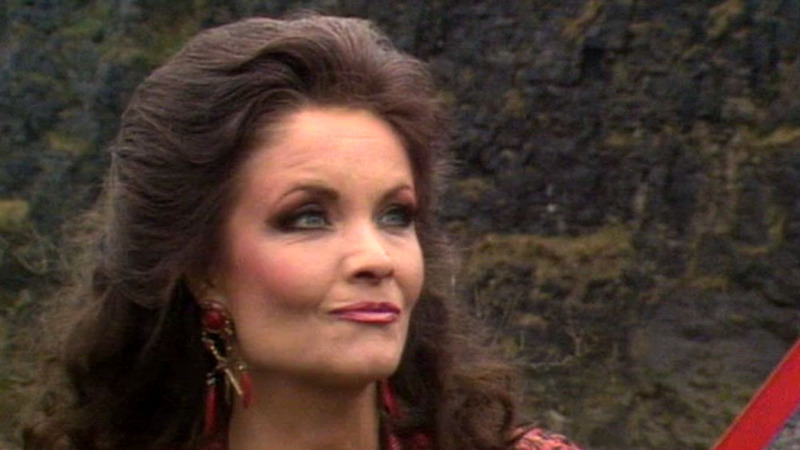 But, much like the Eighth Doctor, she is long overdue for a return to the screen. It might be a bit of a stretch to imagine bringing back the amoral Time Lady scientist when the show already has one bonkers Time Lady antagonist on the loose, but if done properly, it could work quite well. Missy vs the Rani, anyone? Fans have been waiting for this villain to appear ever since the arrival of the Twelfth Doctor, since the Valeyard is supposed to come sometime between the Doctor’s twelfth and final incarnations. 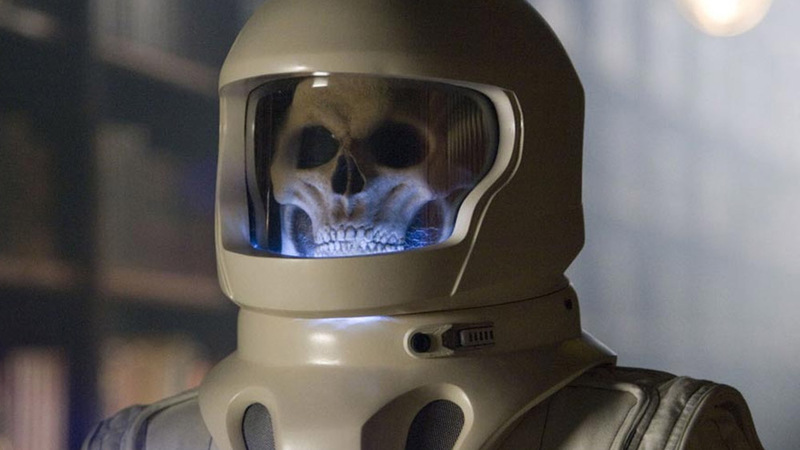 There is no set rule saying that he comes immediately after this regeneration – and due to the now unknown regeneration limit, it could be a while before he comes along – but if Moffat truly wants to go out with a bang, there is no bigger villain he could include in Season 10. Also, if the rumours of Capaldi’s departure next year turn out to be true, bringing in the Valeyard now – with the actor playing both the good and the bad sides of the Doctor – would give him a chance to showcase his acting abilities to the utmost before his departure. 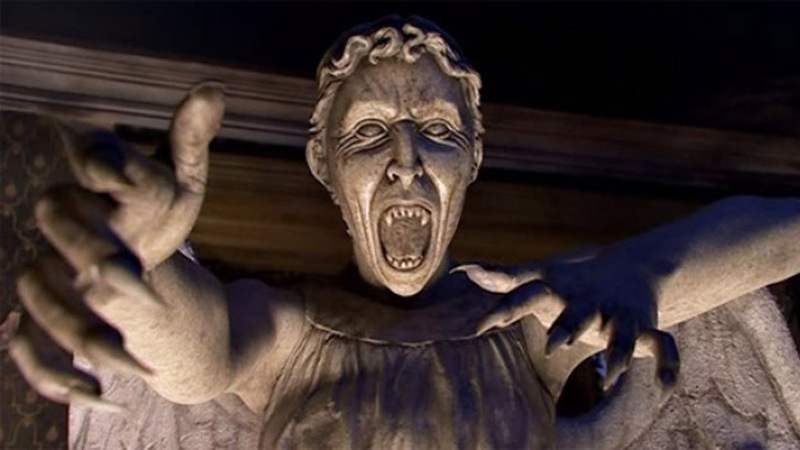 If the Twelfth Doctor doesn’t face the Weeping Angels (Hell Bent cameo notwithstanding) it’ll be a travesty. Other than that I don’t mind. I’d like some classic villains we haven’t seen yet to return (Axons and Sea Devils come to mind) as well as some new creations too. NewWho has only done Sontarans and Silurians once each. Let’s have some more from them! Wasn’t Axos eternally time looped? We don’t need to little things like that get in the way. Gallifrey was permanently time locked once, look what happened there. Good point. Peter Capaldi said he wanted to bring the Axons back. It was on his monster list along with the Mondasian Cybermen. Mondasian Cybermen did return, sort of. According to Neil Gaiman, the current iteration of the Cybermen (as of Nightmare in Silver) are meant to be a cross between the Cybermen of Mondas and Cybus. Sounds like you need to be upgraded. I’d love for the The Black and White Guardians to return and the Sea Devils. I wonder if 12th will be as respectful to The White Guardian like 4th was or will he call him “pudding brain,” behind his back? xD I always felt the Vashta Narada was only meant to be a one off. If I recall correctly after the events of Enlightenment the Black Guardian swore revenge on the Doctor. We haven’t seen that revenge yet. They will have to recast the parts also. 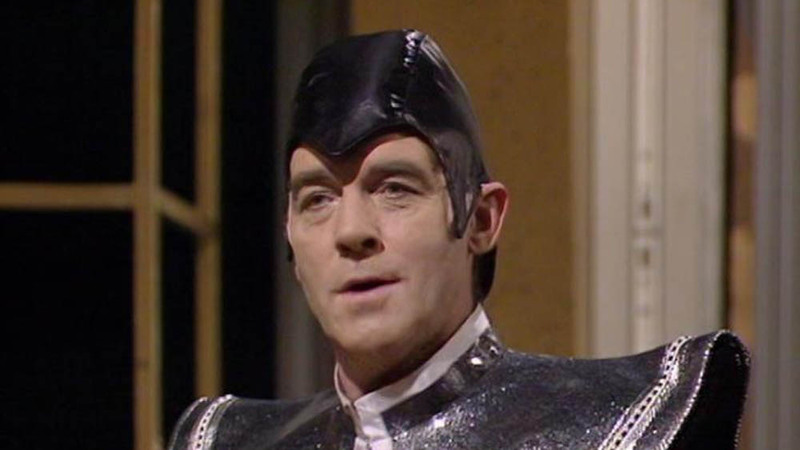 Another character I would love to see return is The Celestial Toymaker. I know that people don’t generally rate his eponymous serial that highly but I happen to really enjoy it. No but it be fun seeing 12th flinging insults behind back. Unlike many other viewers, I was glad that Gallifrey wasn’t overdone in ‘Hell Bent’. Let’s find out a little more about the Doctor’s home planet, and his origins. And Rassilon HAS to return. Other than that, because series 10 will be Moffat’s last: more of his iconic monsters: Weeping Angels, Vashta Nerada and the Silence. Also, the Minister of War hinted at in ‘After the Flood’, and “the Internet – now THAT was a war” mentioned in ‘Hell Bent’. THAT WOULD BE AMAZING but it’s not worth it because we’d lose Michael Jayston and after his performance nobody else should ever pretend to be the Valeyard. Rani: yawn. Never understood why anyone wants her to return. Because she’s amazing, even if her stories weren’t.